My name is Dan and sometime in September of 2008, I was bitten by the running bug. I can’t say I was addicted from the beginning. There was nothing particularly magical about that the first time leaving the living room to go for a run. I wasn’t even hooked after my first official 5K. Knee pains prevented me from getting too ebullient upon the completion of the 2008 Shamrock Shuffle 8K in Chicago, Illinois and the idea of running longer distances was too daunting to even contemplate. So what happened prior to September of that year that changed my life? From the vast array of circumstances and causes, it’s difficult, but not impossible, to narrow down what might have been the primary cause for my sudden desire to hit the pavement. Maybe I felt like I had put off getting in cardiovascular shape for too long. Perhaps it was due to a disillusionment with the ‘real world’ after a few unsuccessful career pursuits, which motivated me into improving my health over my office. Or maybe it was simply that I had just moved into a very nice residential neighborhood whose sidewalks were perfect for mapping out runs of any distance. Pick any of those three reasons and you get a composite “cause” for my surge in physical activity. Prior to this Cambrian explosion of running, my longest recorded distance was 5 miles. Slowly, but surely, I increased that distance with weekly runs until the 2008 Trick or Treat Trot 10K in late October. 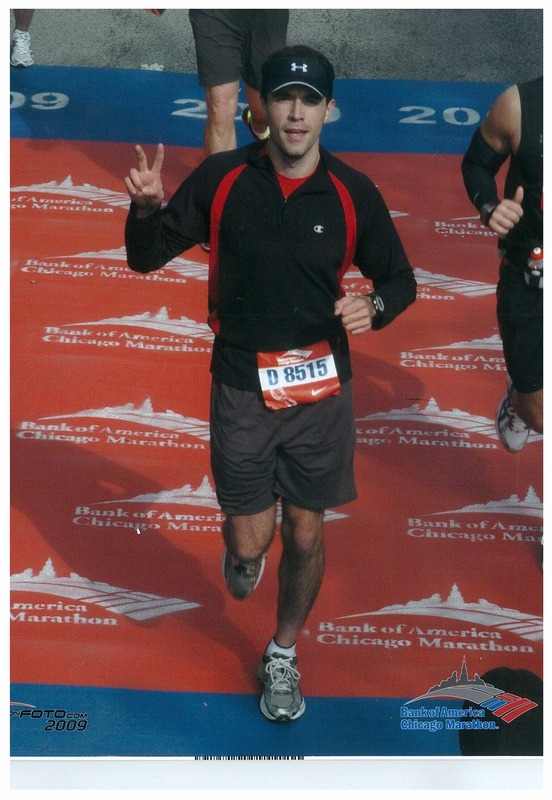 To make a long, predictable story short, over the next year I would run three half marathons and my first 26.2-mile run, the 2009 Bank of America Chicago Marathon. With endorphin levels at celestial highs, it was impossible to rule out future marathons so I set off to carve out a running program for 2010. 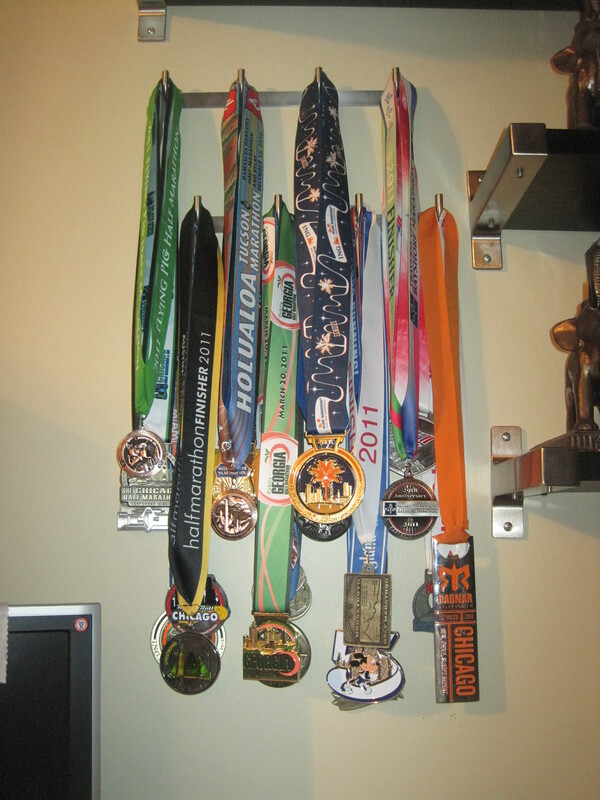 On September 12, 2010, I finished that program, which included ten half marathons in seven different US states. Along the way, push came to shove came to full-on bar brawl and I figured, let’s do something crazy. One glance at the blog’s subtitle and you’ll know the result of this whimsical moment of insanity: I am aiming to run at least a half marathon (13.1 miles) in every state, including Washington, DC. I don’t know how long it will take, but I’m planning on being done before my 40th birthday on November 5th, 2022. But let’s retreat from the hyperbole for a bit because I’m not the first person – probably not even the thousandth – to try and run a half marathon in each of the 50 states; in fact, there’s even a club for it (www.halfmarathonclub.com). Better, bolder athletes have run full marathons in all fifty states. Famed ultramarathoner Dean Karnazes ran fifty marathons in all fifty states in fifty consecutive days. What’s so intriguing about a relative amateur tackling a lesser challenge? Well, if you’ve read this far, then surely there’s something worth discovering about this endeavor. As of this writing, I have already started the journey, having completed seven out of fifty states. Fortunately, I documented all of them as they happened, so I will begin my back log of races with the next post (and for simplicity’s sake, I will ignore the first three that I ran in 2009, which were all in Chicago). Feel free to drop me a line (dan.solera@gmail.com) – I guarantee you I’ll respond.